Children of Blood and Bone was one of my most highly anticipated books of this year. Inspired by West African culture and mythology, this novel has taken the world by storm with its promise of fast-paced adventure, POC representation, and African high fantasy. Whilst Adeyemi’s novel delivered on this note, it also went far above what I expected. The simultaneously heartwrenching and empowering story makes for a spellbinding novel that leaves the reader reeling by the end of it. Yet what makes Children of Blood and Bone a truly special novel is how it discusses real issues in our own world, ultimately holding up a mirror to society. 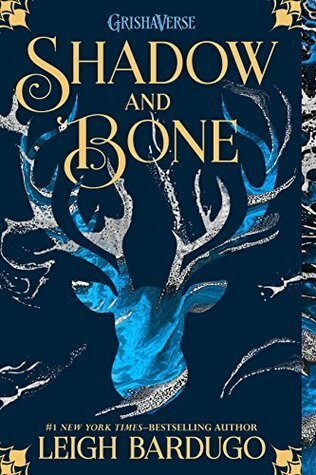 All of the elements in this novel, from the mythical setting to the complex characters, come together to create a story that fully deserves a 5-star rating and has become one of my new fantasy favourites. Orïsha was once humming with magic, a place where the maji were free to exercise their powers. Reapers, Healers, and more roamed the land for millennia, using their gifts for both good and evil. However, one fateful night eleven years ago, the brutal king massacred the maji, eradicating magic from Orïsha for what he thought would be forever. Zélie lost her mother that night and thought that she would never feel the pulse of magic in their world again. But now, she has the chance to bring it back. With the help of her brother and a rogue princess, Zélie ventures across Orïsha to restore magic once more. However, with the crown prince hunting them down and the dangers of Orïsha posing challenges to their journey, will the trio succeed in bringing magic back to Orïsha for good? This novel is amazing, plain and simple. It is so rare for me to be consumed by a book. Every time I put Children of Blood and Bone down I was looking forward to the next opportunity where I could pick it right back up again. This book was always on my mind and hasn’t left it ever since. There are many reasons for this but one of the biggest ones is the characters themselves. I felt that I was on this journey alongside Zélie, Amari, and Tzain and that they were just within my reach. They are incredibly layered characters that stand out in stark contrast to one another. Zélie has a fiery and strong personality whilst Amari is more soft-spoken and skittish. Tzain is the headstrong and protective older brother but this is not enough to place him at the forefront of their quest. Each has burdens that they carry and inner troubles that they deal with on a daily basis, making them feel so real and not like the perfect heroes we read about so often. Added to this, they are each flawed in their own ways yet also grow as characters throughout the story as their beliefs are put to the test, making the character development interesting to follow. Another compelling aspect of the novel was its originality. Not only is this perhaps the first YA fantasy novel inspired by West African culture and mythology, but it is also a story that does not follow a plotline that is similar to any other YA fantasy that I have read. 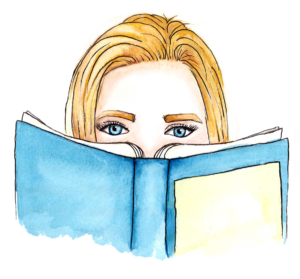 There are many novels that focus on a quest that has to be completed in order for the world to be saved in some way, but I had yet to come across one that included so many detours, smaller conflicts, and sub-plots until I read Children of Blood and Bone. The story is told via three alternating perspectives and each reveals so much more about what is occurring beneath the surface. Zélie, Tzain, and Amari also have to face situations that pose serious problems to their plan and learn just how complicated it is to bring magic back to Orïsha. The plot doesn’t at all go the way you expect and is constantly disrupted by other characters, their agendas, and other political issues. This escalated the story immensely and made it an exciting journey! Lastly, and perhaps the most important reason why this book is so phenomenal, is that it’s a story that puts a mirror up to society. When I was in school my teachers taught us how books like Pride and Prejudice or The Great Gatsby told stories that reflected the reality of their times. Children of Blood and Bone does exactly that as well. Racism, classism, privilege, and police brutality are just some of the issues that are currently at the centre of social discourse, especially in the West, and are also key themes of the novel. Adeyemi doesn’t just create a fun fantasy story – she takes it a step further by addressing issues that affect many people in real life. I don’t want to delve into this aspect of the novel too deeply because I think everyone should read it for themselves. However, I’m so glad that this story gives a voice to issues that so many young readers can relate to but is rarely spoken about in literature. This aspect of the novel is what makes it truly special and important to read. I never doubted that I would enjoy Children of Blood and Bone. I love reading fantasy that incorporates different cultures than what we normally read about in the genre and seeing something new being done with plot, character, and setting. Whilst I enjoyed these elements of the novel, it was it’s relevance to our society that immediately gave this book my 5-star rating. This added so much more meaning to the novel and created a layer of intense emotion around issues that are far too familiar to what we see in the media and around us every day. 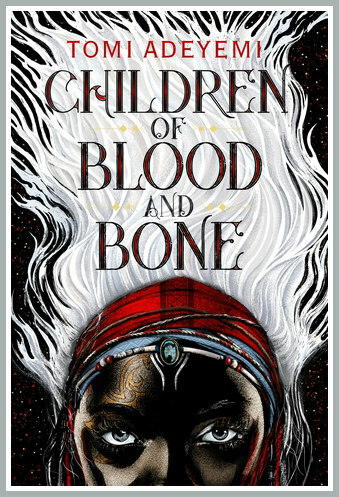 I am so happy that Children of Blood and Bone exists and I look forward to seeing what Tomi Adeyemi graces us with next! HAVE YOU READ CHILDREN OF BLOOD AND BONE? WHAT DID YOU THINK? COMMENT DOWN BELOW AND LET’S TALK ABOUT IT!